Way back when I cut all my hair off, I had a commenter ask about styling tips. So let's get down to it! No matter how many times you have had a pixie haircut (I have had three, for years at a time), you still go through utter shock the first week. It usually happens in the morning when you wake up either looking like an adolescent boy, or a deranged elderly person. And then it's reiterated when you shower, and go to wash your lengthy locks, to remember they are no longer long. But then you style it in a spunky do, and your husband sees it, and can't stop talking about how amazing it looks (and may or may not be able to keep his hands to himself). 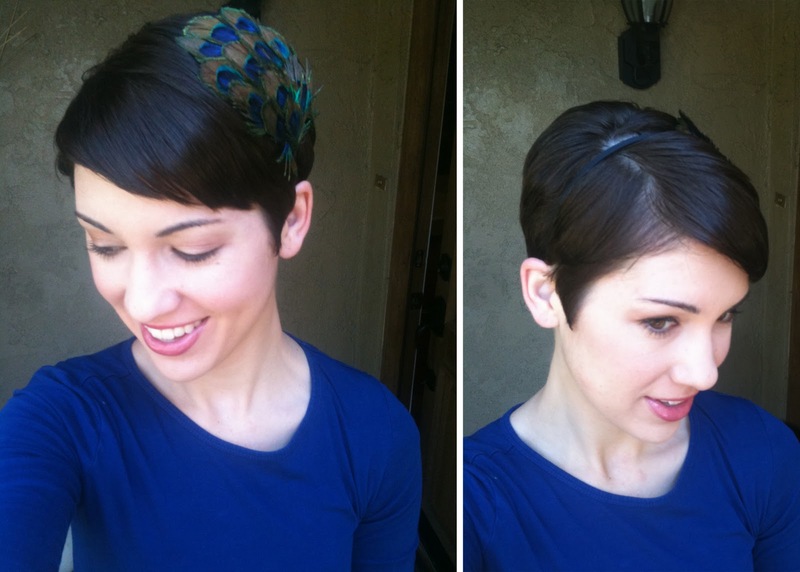 And then you know that the pixie cut is the most risky and rewarding of all haircuts—If you can pull it off, of course. Thankfully I can. But really you won't know if you can sport the short do, until you do it! So cut with caution, or get a consultation with a bona fide stylist first. Now for styling (these are my favorite looks). Or something between the two. I don't have a photo, but it's basically when I am too lazy to put in any work at all. I just blow dry it, use some product, and spray. I don't try to make it perfectly smooth, or spiky and cute. It's more of a blah alternative—consider it the ponytail of the pixie cut. Don't be fooled that short hair requires no work. Au contraire! It's just work redistributed. Instead of long amounts of time blow drying, I spend more time styling than I did when I pulled it back in a pony every day. It's definitely faster than my lengthy locks. But it also requires some effort. I have slightly wavy hair, so I flat iron it when I want a good spike (yep, flat iron...crazy, I know). 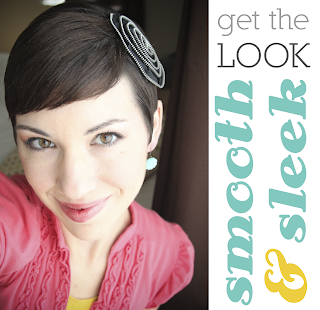 The smooth look can be achieved with the right products. And if you have straight hair, you won't need to flat iron at all. Here is my arsenal of design tools. I have tried a LOT of different products. And below are my absolute favorites. Use anything. Really. Whatever is your favorite. I have fine, wavy, color treated hair. So I use something to give me volume, or something to protect color. It doesn't ever affect the style in the end (for my hair). And remember that since it's so short, you don't have to worry about damaged ends, or repairing or strengthening. You're going to cut it in a month. But if you really are dying to know, I use Bumble and Bumble Coco or Thick shampoo/conditioner. This step = essential. I usually combine two. A spray and a creme styler. This avoids crispiness, while giving me the texture my hair needs so that it won't flop. STEP 1: Bumble and Bumble Thickening Spray OR B&B Tonic Spray. This gives you some lift at the roots. On a budget? Try L'Oreal EverStyle Root Lifting Spray (LOVE this product) or John Frieda Collection Luxurious Volume Lavish Lift Root Booster. STEP 2: Bumble and Bumble Styling Creme OR B&B Texture. I can't find a good substitution for either of these. They give a little texture and hold without crispiness. really amazing products. If you buy one thing, go for the Styling Creme! Hands down. It is definitely the best "do it all in one fell swoop" styling product. Bumble and Bumble Styling Creme is magical. I promise. On a budget? Try Aveeno Soft Hold Gel-Creme. TIP: Need more texture for fine/wimpy/slick hair? Try Dust It Mattifying Powder by Schwarzkopf for a little added gritty grip! Best around. Don't spend the money on anything else. This will do the job! Non-greasy, not too shiny, just sleek. And it resists end-of-day puffing. When blow drying, use the right brush. I use a Denman brush. A little pricey. So for the conservative shopper, go for a small round brush with nubby bristles for a smooth look or controlled lift. That way if you need a boost in the back, you can round brush it slightly while blow drying. I just use my fingers for messy, spiky days. My hair has a tendency to wave or curl at the ends. So I do flat iron my hair a bit some days (bangs and ends only). My smooth/sleek style requires no flattening, since the flat iron will encourage it to all stand up on end. So I sort of "pull" it straight into place around my face while blowdrying so as to avoid curling bang tips. Time to style! Poommade, pommade, pommade! This stuff is tricky. You want putty or dry wax. As dry as you can find. Not jiggly glossy gel in a pot. Not mud. Not foam. Not goopy cream. I have used LOTS of types of pommades, and these three will let you really manipulate your hair without it looking wet or oily (unless you are going for that look, which I never am). In every case, use sparingly by rubbing a small amount on fingertips before working into hair. Build up more as needed. I usually run my hands through my hair quickly before styling specific sections. • If you feel like you just HAVE to spend over $10 on good hairspray, Goldwell is your golden ticket. This comes in a close third to the first two. Buy the Goldwell Sprayer hairspray. They also have an awesome spray wax that could be used in place of pommade, called Unlimitor. Click on the photos above to go to my personal How-To Videos (more to come). i had a pixie back in the day and loved it. i'm not sure i could pull it off now. 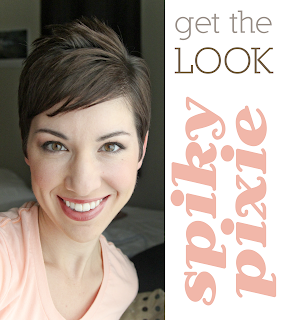 you were made for the pixie! it looks so SO good on you! Lately I've been happy with my Shu Uemura pomade, but it's ridiculously expensive so thanks a million times over for your product recommendations, I'll have to check them out. I'm always looking for new things to try on my short 'do to get that perfect "messy" look. 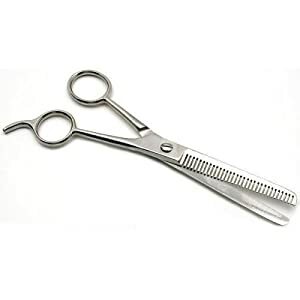 Is it weird if I want you to show/tell me your tricks for cutting your own hair? (not seriously...unless you want to.) I'm moving overseas next year to a place I'm convinced they will have absolutely no idea how to cut a short 'do on someone with my (lack of) texture, so cutting my own hair seems to be the most feasible option for keeping my style. That or have a mullet for an extended period of time while I grow it out (which, for the record, is NOT an option). I am a huge fan of Bumble & Bumble SumoTech mixed with a bit of B&B Brilliantine, but my stylist (because as much as I wish I could do it myself, I am not nearly as brave as you) recently turned me on to Osis Mess Up which I really like and is cheaper. And I have totally stolen a finger full of my husbands Crew Fiber in a bind and I love it except it smells like Old Spice. Mighty cute hair. I wish I could get away with that look. I just love it. Do you need any headbands??? yay what a great post and timely too! I'm going short on saturday again....I wrote a funny blog post about it this week because well my hubby doesn't really like it short! and good note about going to a good hairdresser! It really makes a difference if you can't do it yourself...which I can't. I can't even straighten my own hair myself I'm that bad in the hair department! oooh i LOVE this post. 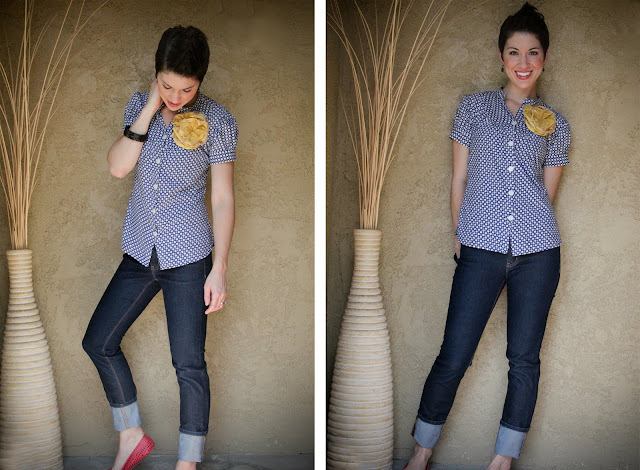 i found you through a mormon fashion blogger and find it so coincidental since i JUST chopped off my hair to a pixie cut this afternoon. i'm kinda freaking out right now. so, this helps me soooo much. thank you!! After seeing your post... I decided to cut my hair into a pixie cut and I can say right now I'm still going through that shock phase. I have it styled in a faux hawk right now and I just keep looking in the mirror!!! It looks great and I'm so happy I did it. I like all the styling products you have on here and already picked some up. It has been more than helpful!! Thanks again for the cheaper versions of bumble and bumble because with out your help I would have spent a billion dollars on products!! Thanks again!! LOVE this post! Thanks so much for sharing! I have a quick question for you...I went online to buy the B&B Styling Cream and I read a lot of reviews that the formula had changed and didn't work as well. Have you noticed any difference in the product? Thanks! I just got a pixie cut, and I had no idea how to style it until I came across this post and your YouTube video. Thanks for the styling and product tips! I'm really looking forward to having a 10-minute hair routine instead of a 30-minute one (which is how long it used to take me to straighten my shoulder-length hair). THANK YOU! I recently went to a pixie cut and love it, but really needed help with styling. I cannot afford B and B so thanks for putting cheaper alternatives. I can't wait to make my pixie cut look even better. I went to Kmart today and they had a TON of B&B products on clearance! They had 4 oz bottles of the styling creme for $4 so I bought a bunch because I just cut off all of my hair!! They had a whole shelf full....I may check back later this week to see if there is more! How curly? 3a? I'm thinking about it but afraid of it being puffy or not lying flat. I just got a pixie and I love your videos. My problem is my hair is too poofy. Can you recommend a flattening, make it lay down on my head product? I read out this post and the products you have used for the hair styles of your short hairs are remarkable, I really like it. I do agree with your comments. I just wanted to say how much a loved this post, and your recommendations. I also wanted to ask: where did you get the shirt you are wearing in the faux hawk pics?